New players are always welcome to try out and become part of Alba FC. We live in a time where children would rather play video games than play sports. We believe that sports are still more enjoyable, yet they have become less accessible. It is easy to buy a child a video game and sit them down in front of a screen for hours. But to help them master a sport is very difficult, especially with New York’s colder climate. Our program provides an environment to stay active all year long, rain or shine. JOIN THE WORLD’S MOST POPULAR SPORT PLAYED BY MORE THAN 250 MILLION PLAYERS IN OVER 200 COUNTRIES. Deadline to register is April 6, 2019. After this date you will be placed on the waiting list. Alba FC invites all eligible, Spring 2019, U-8 through U-13 boys to join us at open tryouts, every Thursday from 4:30 - 7:30 pm, @ Public School 36. Address 1070 Castle Hill Avenue Bronx NY 10472 or Ferry Point Park Turf Field. Address 299 Hutchinson River Pkwy, Bronx NY, 10465. We are looking for advanced, skillful players with at least 1 season experience in travel youth soccer. 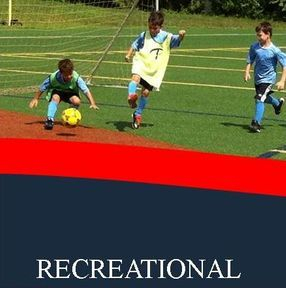 The Recreational Program is the foundation of our club. Every Saturday we offer 60 minutes of instruction to help players ages of 5 -14 to develop a love for the game of soccer in a fun environment. 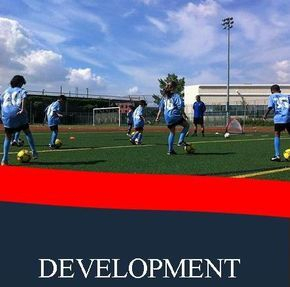 The Development Program is for players between the ages of 6 and 10 who would benefit via a developmental approach to becoming technically proficient before being introduced to the tactical element. 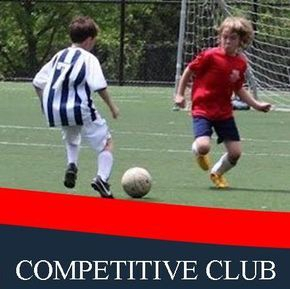 The Competitive Program is for competitive and advanced level players, between the ages of 11 and 18, who demonstrate the desire and ability to learn and play soccer at the next level. Alba Soccer Association (ASA) has a mission to provide the girls and boys of the Bronx and surrounding communities with a more affordable and still competitive sports organization that allows them to excel and grow as players and people. To coaches, ASA offers the opportunity to lead a team in a non-political and liberal environment with sole focus on the kids’ development as soccer players. Alba Soccer Association (ASA) is a 501(c) 3 non-profit organization dedicated to promoting youth soccer and the positive aspects that team sports play in the development of our children. We support youth soccer in the Bronx as a medium to enhance children's confidence and leadership skills, promote teamwork, and contribute to a brighter future for them. Combining the benefits of soccer and schooling, (ASA) partners with Bronx communities to improve opportunities for Bronx schoolchildren. Each year the league provides a venue for over 400 kids to participate in both recreational and competitive soccer programs. ASA is open to all children ages 5 through 14 in the Bronx community. Our program is designed to introduce the sport of soccer to youngsters living in communities not yet served by existing clubs or leagues.